Many people are confused by cyber security, and understandably so. It is a complex and ever changing field that the majority of people have no reason or opportunity to get to know well. What people do know are the basics that they may be exposed to on their home or office computers; this can sometimes pose a challenge to those trying to explain the importance of cyber security and the difference between what is offered and what may already be in place. When caring for computer technology, there are a lot of different tools in your toolbox and it’s important to understand that they are not all the same. Just as a hammer, wrench and screwdriver are not interchangeable, various security safeguards must be used for their specific purposes. Assuming that one safeguard will protect against a host of issues it is not equipped for is asking for trouble. A good starting point is understanding the purpose of existing safeguards, and what they do and don’t do. The key here is to gain an understanding of what is established and what is missing. Let’s start with a firewall. Firewalls in their simplest functions allow “good traffic” to enter the network, while blocking bad traffic. A firewall is one of the most basic security safeguards available, and hackers are well versed in breaching them and gaining access to the network beyond. While a good start, a firewall is not sufficient cyber security. What about anti-virus software? Everyone with a PC knows anti-virus software! These programs block and clean infected software, however nearly 1 million new threats are released daily, making it extremely difficult to keep up with. Furthermore, not all malware is detected by anti-virus software. If a computer is running all 60+ currently available anti-virus programs, overall protection is at about 80% coverage, which isn’t enough to protect valuable data. Back-up programs often provide a false sense of security. Some people take the attitude that even if data is compromised and encrypted or deleted, it’s all saved on back-up. The issue here is multifaceted. First off, back-ups are not always reliable and information may still be lost. Secondly, it provides no hint as to how or why the data was compromised, so there is no way to safeguard against the possibility of it happening over and over. Finally, compromised data is still compromised data, whether a copy is retained or not. Do you want your private documents getting out into the world unsupervised? Finally, there are spam filters. While a valuable resource for filtering and blocking waves of spam emails (about 90% of which do carry malware), similar to firewalls, spam filters are a known quantity and simple for most hackers to bypass. All four of these safeguards serve a specific purpose, but even with each one in place, there is still a gaping hole where cyber security should be. Addressing this is simpler than most people realize. RG Technologies offers easy to use cyber security programs that won’t break the bank. 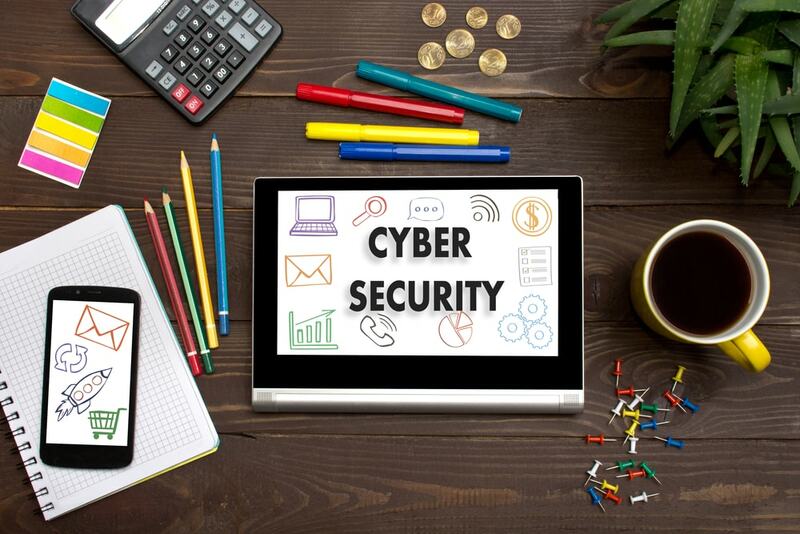 Just like a PC user wouldn’t dream of ignoring an anti-virus program, small businesses need to acknowledge the necessity of cyber security to keep valuable data protected and cyber criminals at bay. What makes RG Technologies stand out? Affordable monthly service plans with programs designed and monitored by security industry experts are simple to implement, with no need to purchase, upkeep or maintain costly or confusing hardware or software. The hard parts are done for you, we do what we do best while you do what you do best. Threats and vulnerabilities are monitored and tracked, allowing all parties involved to maintain up-to-date security that works. Let RG Technologies provide the tools you need to keep your systems and important data protected from all sides. Visit www.rgtech-elp.com today to learn more.